Identifies vulnerabilities and protects websites and visitors against threats. SiteLock provides comprehensive website security for small businesses. SiteLock offers a smart, cost effective way to protect online businesses while potentially increasing sales by over 10% by earning trust. Most site owners only think about security after their site gets hacked and blacklisted by Google. Prevent disruptions to your business and be proactive. Clean up your site fast with instant alerts and an easy-to-use dashboard that clearly identifies issues and helps you locate them. 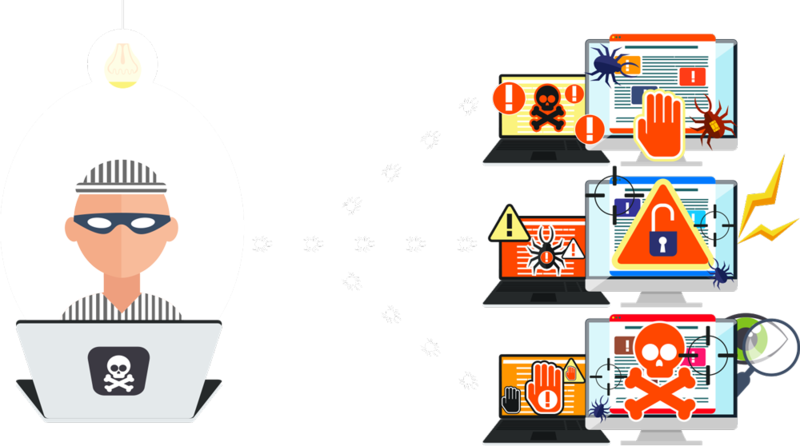 With SiteLock, it's easy to eliminate malware and other viruses so you stay off search engine blacklists and keep traffic flowing. Display the SiteLock Secure Seal on your website. Displaying this badge shows visitors that your site is verified to be safe by the leader in website security, instills trust in your brand, increases customer loyalty, and commonly increases sales by 10%. The SiteLock Trust Seal provides customer confidence and increases your sales and conversions. Customer data protection (SQL & XSS): performs forward and backward looking scans to make sure current and future visitor/customer data on the site is secure. What happens if SiteLock finds a vulnerability? Site visitors will not be alerted to any problem. The SiteLock seal will simply continue to display the date of the last good scan of the website. If the site owner fails to rectify the problem, within a few days SiteLock will remove the seal from the site and replace it with a single pixel transparent image. At no point will SiteLock display any indication to visitors that a website has failed a scan. How does SiteLock notify me when it finds an issue? SiteLock will inform you by email, and with an alert in the SiteLock Dashboard. The report will provide complete information about the issue that is found along with help to remove it. The Site Lock product will be active once you have paid for and configured the service, by entering the required account information. A welcome email is sent out from SiteLock - The email contains instructions for installing the SiteLock certificate on your website. When the scan has been completed without issue, you can add the SiteLock seal to their website.